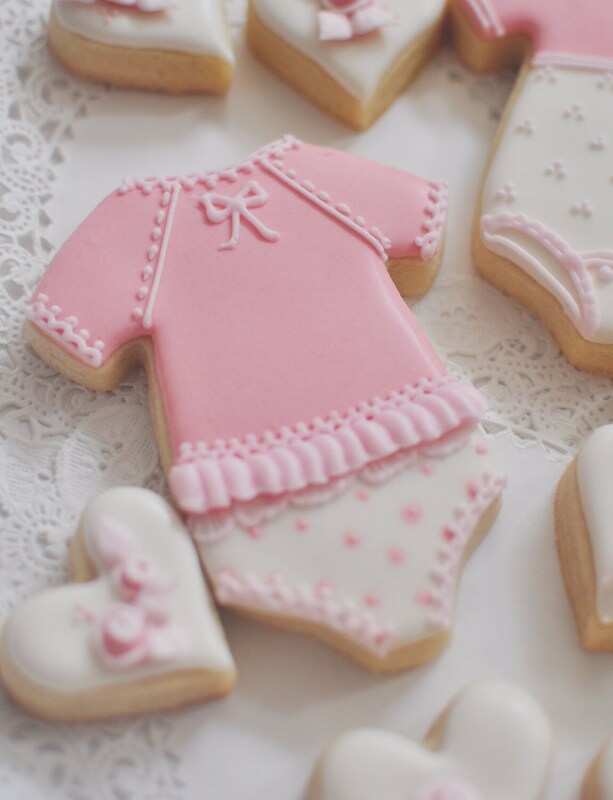 One dozen girl onesie decorated cookie favors. They measure approximately 3.75 inches tall. 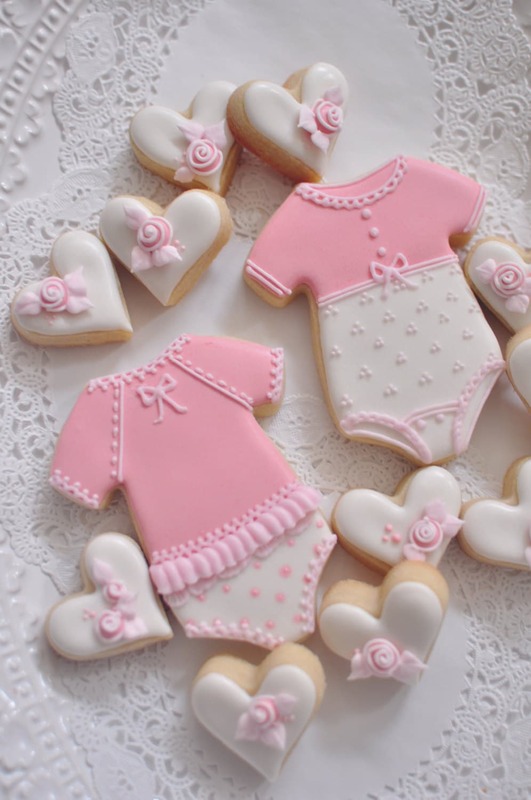 There will be 6 cookies in each design as pictured. 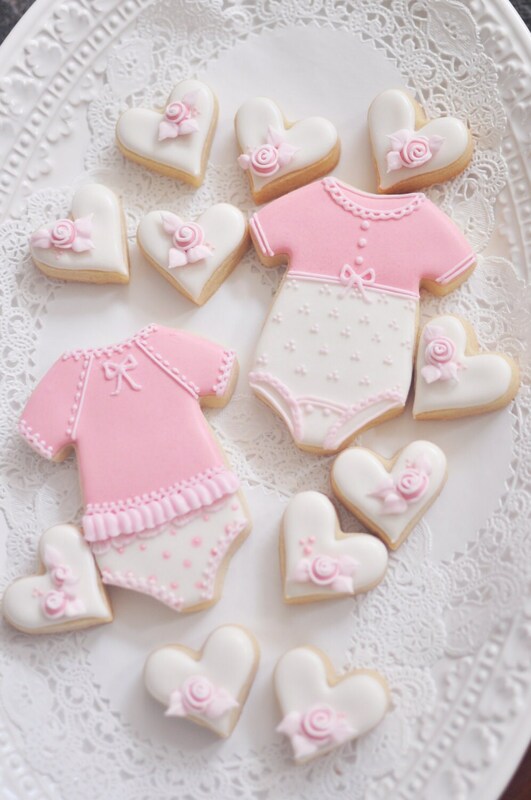 Both are iced and decorated with royal icing. 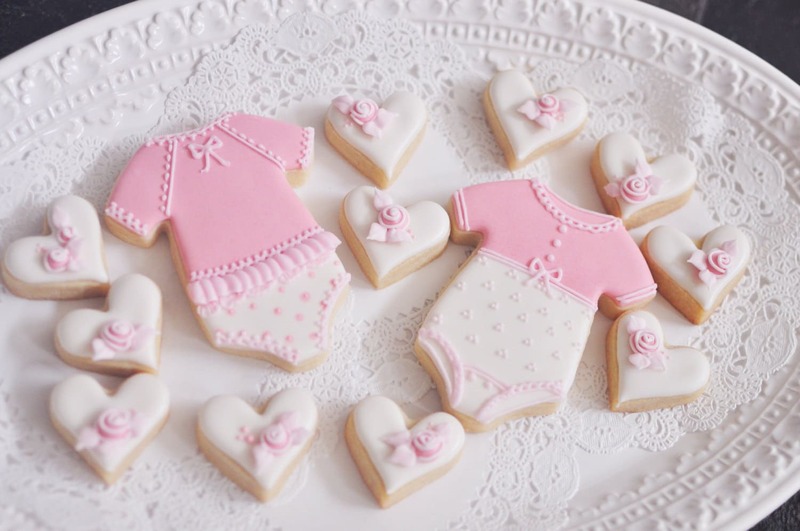 The mini heart cookies are not included in this listing. 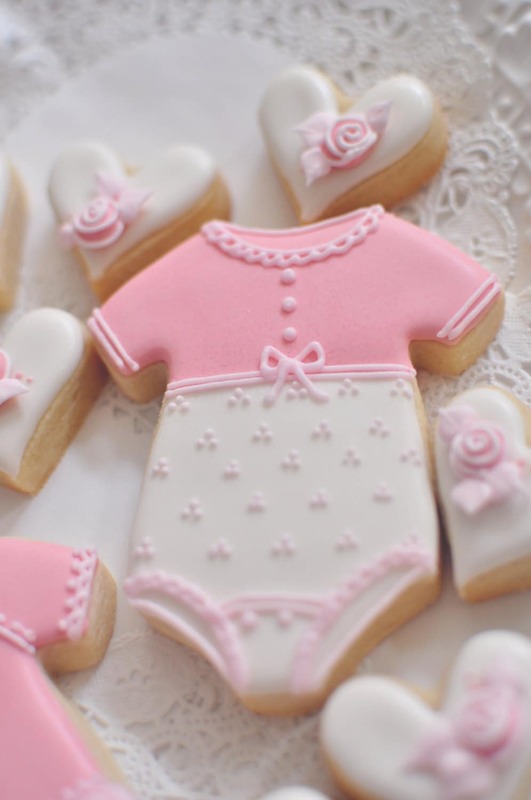 Cutest cookies ever!! Perfect for our Sip & See! Tasted great! Shipped with time to spare. Decorated exactly how I asked! Would definitely order again! Not only were they adorable but they were delicious! !